The Committee headed by Punjab and Haryana HC Judge, Justice Rajesh Bindal has examined issues relating to inter-country parental child removal, and has suggested a model legislation to safeguard interests of the parents and the children. The High Level Committee was constituted on 18 May, 2017, and has now stressed upon the need for mediation as the first step. It has also suggested that the Government may establish an 'Inter Country Parental Child Removal Disputes Resolution Authority'. This authority has been envisioned as a "one window solution" in cases of inter country removal and retention of children. Prompt return to "Habitual residence"
The Committee acknowledges that the Hague Convention on the Civil Aspects of International Child Abduction, 1980 does not decide the issue of custody of the children but provides a mechanism to ensure speedy and prompt return of the child to the place of its "habitual residence". It, however, opines that the concept of habitual residence is not synchronous with the best interest of the child. Having elaborated on several aspects of the problems that confront a child caught in such situations, it notes, "There is no denying the fact that uprooting of a child from its habitual environs and sociocultural milieu may impact it negatively, but this is just one side of this polygonal problem". The report further explains, "The Committee has no misgivings about the noble intent of the Hague Convention of 1980, which seeks to reintegrate a child with the place of its habitual residence but weighing the other issues involved, habitual residence as sole criterion to determine the best interest of the child, does not seem just and fair. The left-behind parents (LBPs) have raised the issue of complete isolation from the child and thus demand return of the child, even as old as two years. On the other hand, the flight-to-safety parents exhibit apprehension of continued violence and harassment upon going back." It then suggests the institution of an 'Inter-Country Parental Child Removal Disputes Resolution Authority', which will be headed by a Supreme Court Judge, or a High Court Chief Justice, or a High Court Judge who has served for not less than five years. Process of decision making regarding custody of children is not a mechanical exercise rather has to be dealt with by application of mind. We cannot compromise with best interest of child for speedy return. The proposed Authority should maintain complete data of Indian citizens going abroad as well as of the NRIs/PRIs/OCIs/ Other category of Indian diaspora, including their addresses, phone numbers and e-mail ids. Updation of any change therein should be their responsibility. The Indian diaspora living abroad should mandatorily get any additions in their families, by way of marriage/birth/adoption, registered with the Indian Embassy in the country where they reside. On-line solution therefore, should also be provided. Indian Embassies across the world should educate the Indian diaspora abroad that the Embassies or Consulate offices abroad shall be the first point of contact in cases of international parental child removal or any dispute, wherever any guidance or assistance is required. Complete information about the person to be contacted should be available on website, including answers to FAQs. The Embassies should educate the persons living abroad about the proposed Authority, after it is constituted. Mediation often proves a successful technique to resolve disputes amongst couples at odds. In most of the cases where one of the spouses removes the child from joint custody/custody of other spouse, the root cause is lack of harmony in the spousal relationship. Sometimes, if made to sit across the table with a mediator, the likelihood of better sense prevailing upon the couple increases, therefore, the Authority should promote mediation as the first resort. Even Hague Conference on Private International Law has issued 'Guide to Good Practice on Mediation' in 2012 and is promoting mediation at the very first stage, not only for resolution of disputes pertaining to parties belonging to Contracting States but even non-Contracting States to the Hague Convention. A list of trained mediators should be available on the website of the Central Authority. The parties should be given liberty to select mediator through consensus even beyond the list available on the website of the Authority. In cases of inter-country parental child removal, where the parties are not able to sit across the table because of unavoidable reasons, IT solutions should be used to conduct mediation proceedings to ensure rights of access as well as visitation rights, to the other parent besides choosing a neutral place for meeting. It is medically proved that separation of a child from either of the parents, or the child being a witness to domestic violence, has a negative effect on its growth. Further, to remove any allegation of tutoring of the child by the taking-parent, the left-behind parent should be given immediate access to the child. This can be either on mutually agreed terms or by an order passed by the proposed Authority or the Court. The proposed Authority should arrange for immediate access and/or visitation rights on an application filed before it. The proposed Authority, while dealing with the cases involving inter-country parental child removal, must be mindful of the fact that the child should not be reduced to the status of a commodity in such litigation. The proposed Authority should offer prompt legal aid to the parties involved in inter-country parental child removal dispute, if requested or otherwise felt necessary. A list of advocates who offer to act pro bono should be available on the website of the proposed Authority along with their contact details. National Legal Services Authority and State Legal Services Authorities may be associated for the purpose. Aid in the form of behavioral counseling and other assistance should be provided by the proposed Authority to the children/applicants, for which State Commission for Protection of Child Rights, as constituted in different States under the Commission for Child Rights Act, 2005 (Regional Units), may be associated. The parties should be given liberty to file applications even before the regional unit, which shall be transmitted to the proposed Authority. Video conferencing facilities should be made available in the office of the Commission to be used by the parties concerned, for hearings or exercise of rights of access. Before allowing the child to be taken to another country, the proposed Authority shall ensure the wellbeing of the child in the other country through diplomatic channels or otherwise. Concept of mirror order from country of origin can be explore to ensure compliance of any order passed by the Proposed Authority or the Court. When a parent comes to India along with his/her child as a case of inter-country parental child removal, he/she shall immediately report such return to the proposed Authority, along with a statement of reasons. The said information shall have to be kept confidential by the proposed Authority. The process will reduce time taken in locating a child in case any request is received by the proposed Authority for return of the child. Such information can be furnished through some Attorney, may not be mentioning address of the party concerned, so as to ensure his/her safety, if considered appropriate. The proposed Authority shall encourage the couples to adopt healthy joint parenting plan and keep welfare of the child as the sole paramount consideration in such cases. The couples should be encouraged to overlook their differences and to adopt a balanced stance qua each other in case they fail to reconcile their differences. Foster care is not being encouraged as the same alienates the child from both the parents. When the proposed Authority has reasonable ground to believe that the child in respect of whom an application has been made might be subjected to abuse, it may get a report from the Regional Unit/local authority (District Magistrate) regarding the same and direct them to take effective steps to protect the child's interests. The proposed Authority shall endeavor to understand the intention of the child through appropriate means and shall take into account its intention according to its age and degree of development while passing final order. Any action of either of the parent in removal of child from one country to another should not ex-facie be taken to be a criminal offence. Each case should be examined on its own merits. Under the Japanese Implementation Act and in other countries as well, Central Authority is different than the Court which adjudicates application for return of child. Central Authority in different countries is administrative body. 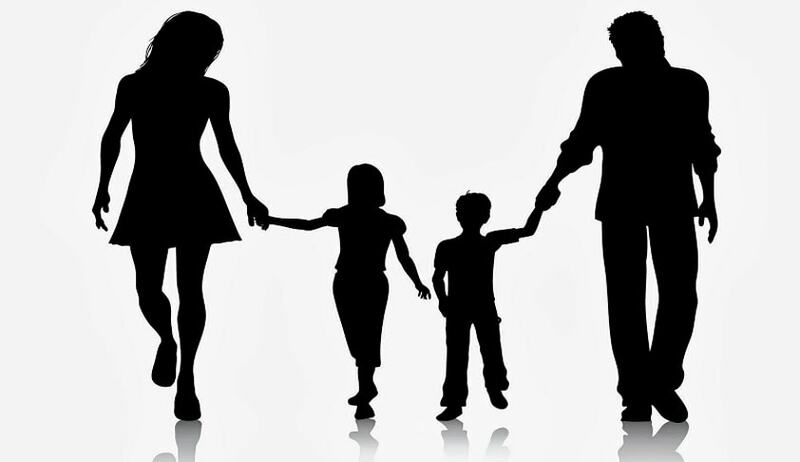 However, keeping in view the workload and highly specialized issues involved in inter-country parental child removal in the area of Private International Law, Family Courts may not be able to take up the cases expeditiously, hence, it is proposed to have a single authority named as 'Inter-Country Parental Child Removal Disputes Resolution Authority' at the national level with expert members and ex-officio members from the Ministries concerned for better co-ordination. To monitor working under the Act, the State Legal Services Authorities and District Legal Services Authorities may be involved. In inter-country parental child removal, though parents fight for custody of the child or for taking back the child to the place of its habitual residence, keeping in view the law laid down by Hon‘ble the Supreme Court in Nithya Anand Raghavan vs. State of NCT of Delhi & Anr. (AIR 2017 SC 3137, copy annexed at p.360 in Vol. II) and the best interest of the child, ensuring that he/she is not merely treated as a pawn, in the exception clause best interest of child needs to be added as one of the exceptions for refusing return of child. It is proposed that the Authority should be headed by a sitting or retired Supreme Court Judge, sitting or retired Chief Justice or Judge of the High Court, with at least five years experience as such in total and expert members with at least 20 years experience in the field. Normally, the mothers are the primary carers of child, either individually or jointly with the fathers, especially young children, hence, it is recommended that at least one of the three appointed members, including the Chairperson of the proposed Authority, shall always be a woman so that the issue of best interest of child and the risk of exposure to domestic violence can be examined properly. Though it is being recommended that any vacancy in the office of Chairperson is to be filled up within 60 days, however, to take care of the urgent nature of work, where delay of even few days may be crucial to either of the parties to the dispute or may compromise the best interest of the child, the Government may give additional charge of the Chairperson, to the Chairperson/President or the member of any already constituted Tribunal or Commissions who are otherwise eligible to be appointed as Chairperson and found to be the best-suited, in case the vacancy is for a period of more than two weeks. Under no circumstances, the arrangement should continue for more than 60 days. The Secretary or the Registrar of the proposed Authority should be an officer of such a level and department, who is able to co-ordinate amongst different Ministries and interact with the Central Authority or the Governments in different countries. The confidentiality of all the proceedings and entire record of the hearing of the proposed Authority should be maintained, keeping in view the best interest of the child and parties to the litigation. Provision should be made in the Rules to supply copy of the order to the parties concerned free of cost, immediately after passing of the order. The order should mention specifically about the remedy available to the party against the order, period of limitation and the forum. The hearings before the proposed Authority should be held in-camera as far as practicable. In order to ensure that day-to-day working of the proposed Authority does not suffer on account of non-availability of two ex-officio members, the Government may consider that the proposed Authority may function with three appointed members for the purpose of adjudication of the applications. However, wherever considered necessary, the proposed Authority may require their presence keeping in view special facts/circumstances of the case or the issues involved. District Magistrates have been assigned important role in the process, which is to be discharged expeditiously, hence, they need to be sensitized. Standard Operating Procedure should be prepared for the duties to be discharged by different authorities and officers under the Act, to expedite the process. Formats of the applications should contain entire information required for adjudication of the dispute expeditiously. Facility of on-line filing of applications should also be provided. particulars of the applicant – name, address, occupation, email id, phone number etc. The stake-holders, members of the proposed Authority and the Judges, who are to conduct cases of inter-country parental child removal, should be regularly updated by way of conferences, seminars and trainings, for which National Judicial Academy, Bhopal or any State Judicial Academy should be requested to prepare a module. It should be made mandatory for the parties to furnish their e-mail ids and mobile phone numbers for communication with the proposed Authority. Website of the proposed Authority should contain complete details of laws applicable along with the authorities to be contacted for different purposes and the process to be followed. The proposed Authority should give parties before it, password protected access to information available relating to the cases. Other static information on the website should be open for all. In the final order passed by the proposed Authority names of the parties shall not be mentioned for the purpose of uploading on its website. Even in the body of the order names of the parties or the child should not be mentioned. For uploading of orders on the website instructions issued by the e-Committee of the Hon‘ble Supreme Court of India, from time to time, be followed. If the Bill as suggested is not to be enacted independently, the same can be added as an additional Chapter in the Juvenile Justice (Care and Protection of Children) Act, 2015, -with required modifications. Reasons for delay in disposal of the applications should be furnished to the Government. All pleadings and language of communication before the proposed Authority shall be such, as may be prescribed by the Central Government. Any document in a language other than prescribed that should accompany its authorized translation in that language. The proposed Authority can take security, as it deems fit, to ensure execution of order later.